Flowering time: July - September. Perennial. Native. 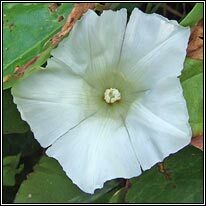 Very common, widespread in hedges, woods, gardens and on waste ground. 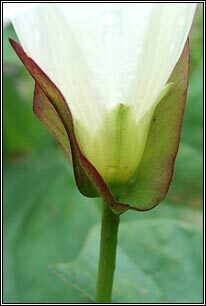 C. sepium ssp. 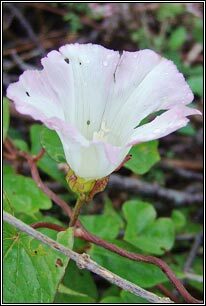 roseata: Pink flowers, white-striped. Shorter, slightly hairy stems, stalks. W Ireland, local near coast. Also found Waterford, Wexford. 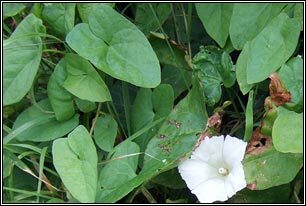 Similar: Large Bindweed, Calystegia silvatica.